This accredited Swedish body Massage can stimulate or relax the mind and body. Swedish massage is a vigorous and deep massage which helps to relieve muscular pain and tension. Stimulating the skin boosts the circulatory & lymphatic systems. As tense muscles relax, stiff joints loosen and nerves are soothed, leaving you with an over all feeling of relaxation and well being. Once you have successfully completed your course you will receive an Alternatively Better Diploma. This will enable you to gain public liability insurance. 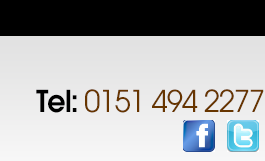 Telephone 0151 494 2277 to book direct.